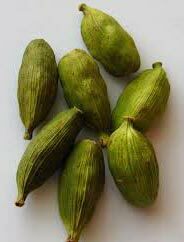 Leveraging on our vast industrial experience, we are remarked as a distinguished Supplier and Exporter of Green Cardamom from Thailand. Green Cardamom offered by us is extensively used in culinary preparations in different parts of the world. Owing to our brilliant sourcing network, we are capable of delivering bulk orders of the Cardamom within stipulated time. Buyers can obtain the Cardamom at industry-leading rates.